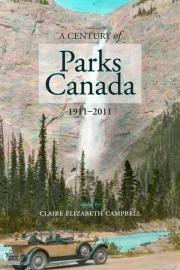 Nature’s Past, the Canadian environmental history podcast, will be recording a live round-table discussion with Claire Campbell and some of the contributors to a new edited collection called, A Century of Parks Canada, 1911-2011, on Monday, April 11th at the University of Calgary (MLT 909, 12pm to 2pm). This event will mark the launch of this exciting new book commemorating the centennial of the establishment of the first national park service. This is the first book in a new NiCHE-sponsored series called the Canadian History and Environment Series, published by the University of Calgary Press. This series promises to help grow the field of Canadian environmental history by offering a new venue for publication. The University of Calgary Press and NiCHE should also be commended for publishing this as an open access book. This is a very encouraging development in academic publishing. Interested readers should order a hard copy of the book and support this new series by visiting the book’s website here.